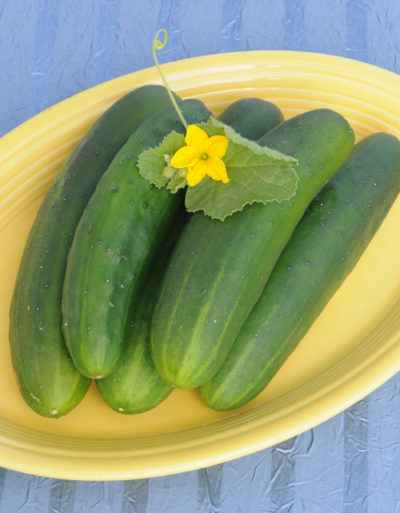 A favorite summer crop, cucumbers are enjoyed in numerous salads or pickled for use all year. 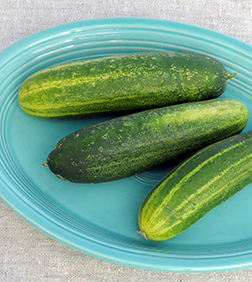 Refrigerator pickles are quick, easy and keep for quite a while. Canning dill pickles takes little more effort. A sprig of fresh dill, several cloves of garlic and perhaps a hot pepper dropped into the jar before the pickling brine is all that it takes. 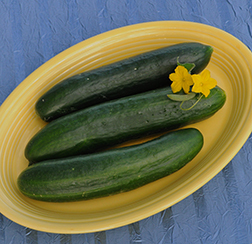 Lemon cucumbers are ready to eat straight out of the garden. Brush them off and take a bite. These thin skinned gems are perfect for snacking. 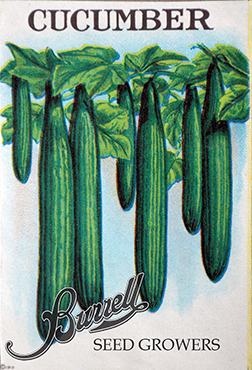 They are prolific producers that like to climb, as do many cucumbers. If garden space is limited, think vertical. 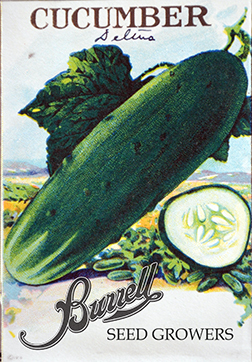 Cucumbers prefer a sunny location. 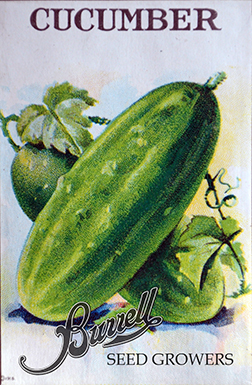 Plant cucumber seeds after the last spring frost date, 1″ deep, 18″ apart, in rows 3′ to 6′ apart, depending on variety. Like other heavy feeders, they will thrive with soil freshened with composted manure or monthly doses of manure tea. 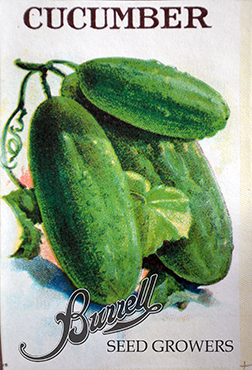 Keep your cucumbers evenly moist while flowering and setting fruit. 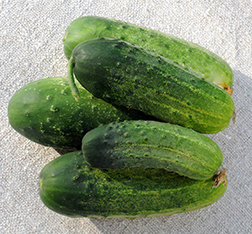 Dry conditions can produce bitter cucumbers. 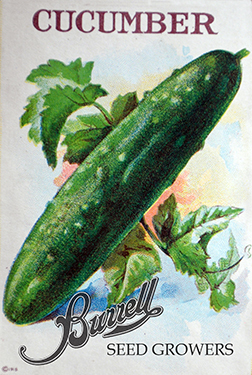 Pick cucumbers as soon as they reach desired size. Plants will stop setting on more fruit if not picked often enough. 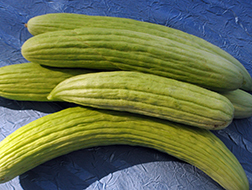 Good companion crops are beans, broccoli, cabbage, corn, lettuce, peas, radishes and sunflowers. 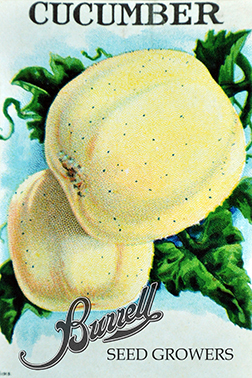 Bad companion crops are herbs, melons and potatoes.